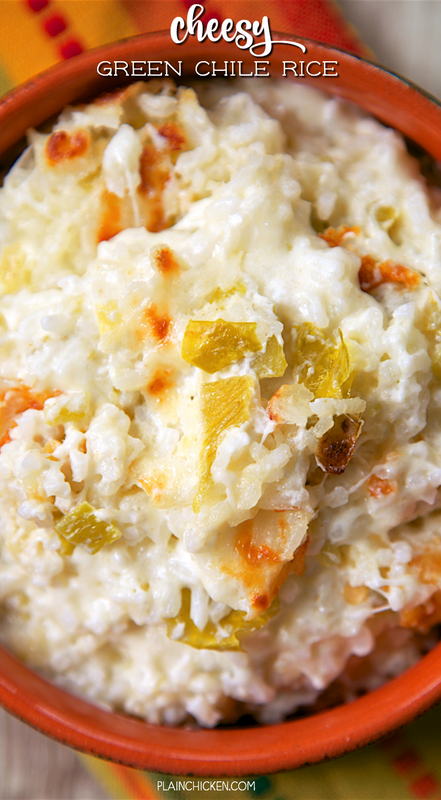 Cheesy Green Chile Rice - only 4 ingredients. Rice, mozzarella, sour cream and green chiles. This rice is THE BEST! So simple, but SO delicious! Everyone went back for seconds. A new favorite!! 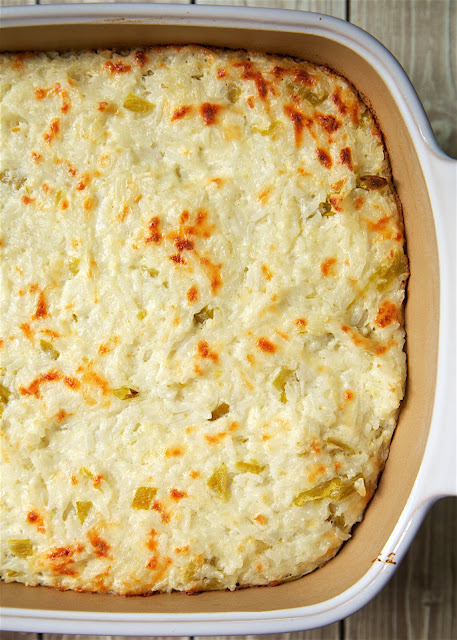 LOVE this quick and easy Mexican side dish recipe. This Cheesy Green Chile Rice is a few favorite! I made it to go with some tacos the other night and it was a huge hit! Chicken Legs is still raving about it! It was seriously one of the best things we ate last week. It was also one of the easiest things we made last week. This only has 4 ingredients! FOUR! And it is ready in 20 minutes. You can definitely make this ahead of time and refrigerate it overnight. I think this would also make a great main dish - just add some taco meat or cooked chicken. Preheat oven to 400 degrees. Lightly spray a 9-inch pan with cooking spray. 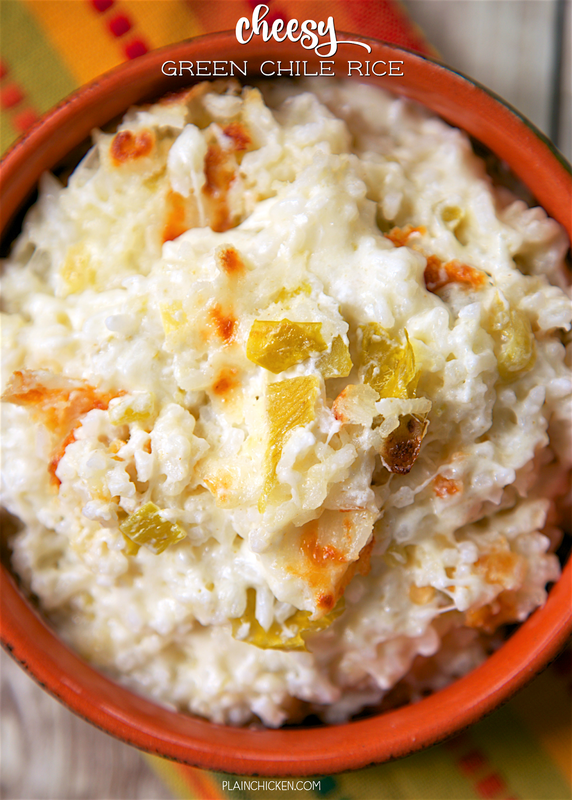 Combine rice, cheese, sour cream and green chiles. Mix well. Pour into prepared pan. I came across this recipe while trying to use up some ingredients in my fridge & pantry. I didn't have sour cream so I used 4 cups of cooked brown rice, 2 cups of shredded mozzarella, one small can of diced green chilies, and a 1/2 teaspoon flaked sea salt. It was SO GOOD! I used it as a base for vegetarian burrito bowls and 3 people ate all of it. The rice had a little bit of a crunchy texture and was a nice balance with black beans & pinto beans that had been simmered in salsa verde and a can of Rotel. Will definitely be making this again and trying your original recipe! I make mine with 1/2 sharp cheddar and 1/2 pepper jack and add a drained small jar of pimentos. The dish always ends up empty. This was another one of your recipes that I successfully converted to a cauliflower rice recipe! 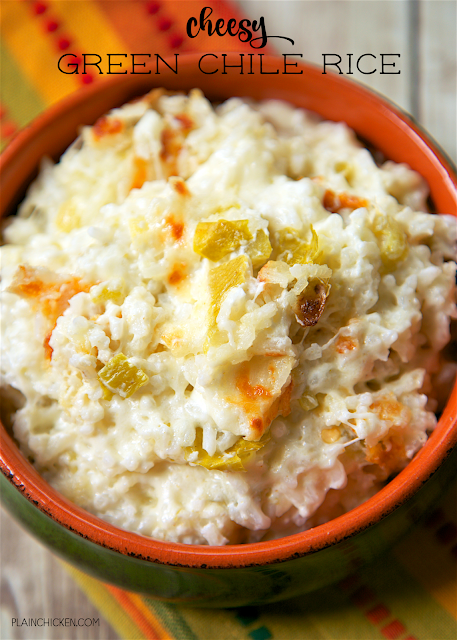 I used only one 8oz container of sour cream and closer to 2 cups of cheese mixed with a little over a lb of cooked riced cauliflower and the whole can of chilies. It was so good!! !